“Now’s The Time To Start Scheming” illustrates perfectly how attempting to orchestrate big moves doesn’t mean you are in control of the game. Tai has spent the last few episodes slowly making a case for himself as rising to the top of his new alliance. In this episode, he tries to stretch the limits of this newfound power, and finds out just how difficult orchestrating your own big moves can be. The obvious narrative for this episode is that Jason is in big trouble, and that narrative kicks in right away when Jason immediately gets Cydney and Michele’s ear about being a better choice for final three than Tai or Aubry. He’s in trouble, he knows it, and he’s doing anything he can to get a willing ear to listen and work with him. 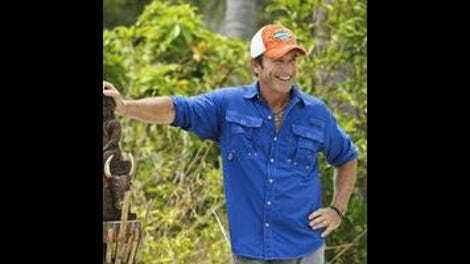 Where this narrative gets subverted in a way not entirely typical of Survivor is that Jason’s obvious struggles are mostly ignored (outside a tense interaction with Joe) while the episode focuses on an entirely different drama, only to have Jason quietly voted out in the end after all. The bonus is how this diverting drama manages to be entirely entertaining within the episode, while also setting up important dynamics for the future. This season is still on a roll. The diverting drama is this: While Jason is the easy boot, Tai decides that Michele is the right person to vote out. Once he decides, he almost acts like that decision means it’s definitely going to happen, considering how little finesse he gives to making that seem like the best option for everyone else in his alliance. He approaches Joe and Cydney first, basically informing them it’s what needs to happen, and if anyone is terrible at reading the temperature of the room that person is Tai. The issues that Tai completely ignores in this first approach is that Joe is probably the least flexible to new ideas of his alliance, and Cydney is much more likely to be willing to go along with a plan if she feels like she’s had a part in creating it. In going after Michele, Tai also completely ignores the optics of him actually being the newest person in the alliance, and therefore one who might not be seen as a leader or someone to trust. Joe and Cydney are immediately uncomfortable with the plan, and it’s not a coincidence that the person Cydney goes to talk to about it is Aubry. 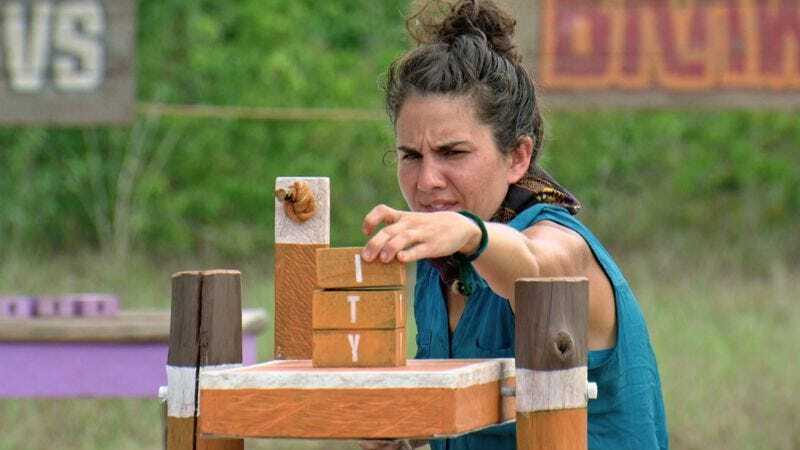 Aubry is no doubt the leader of this alliance, and what’s interesting about her place is that so many people seem to quietly see her as their point person for strategy without any question. Joe is obviously on her side and will do whatever she wants. Cydney is constantly seen strategizing in partnership with Aubry. And now Tai, who Aubry artfully massaged into getting him on her side, sees himself as basically her closest ally in the game. Tai’s disregard for Aubry’s other relationships—and the other relationships within his alliance—in concert with his idol and his advantage, cause Tai to severely misjudge just how much power he has available to him to make this move. Despite so much strategy happening, there isn’t much actual in-episode time to show that strategy. This leaves a lot to put out on the table at Tribal Council, and out on the table it comes. Michele knows Tai is coming for her, so she goes on the attack, and while Michele’s position in the game doesn’t feel all that solid (she did willingly vote out her biggest ally last week, after all) she does manage to at least get a lot of digs into Tai’s position while defending herself. It’s here where Tai’s exaggerated comfort in his new alliance with Aubry is revealed, with him soundly calling out Michele as being in the bottom of their alliance, while he sees himself at the top. He even goes as far as to say “Honestly, I don’t know how you ended up in this alliance,” which is the nail in the coffin of the ‘Tai isn’t so great at Tribal Council’ narrative we’ve been seeing develop throughout the season. When Tai decides to use his advantage and cast an extra vote for Michele, the look on his face makes it seem like he thinks it’s a victory. Instead, his two votes are the only ones cast for Michele, while the rest of the alliance he was so sure he was on the top of vote out Jason. It’s an interesting flip of the game dynamics yet again. The thing about Tai is that he’s proven very wily, so getting himself put back on the bottom of an alliance doesn’t feel like the end of his game. Even if this was the thing that ultimately loses him the game, his willingness to keep trying things and keep fighting will at least keep things interesting in the episodes to come. Both challenges in this episode were really great. Special shout-out to that floating maze where the team had to work together. It’s both visually cool and the strategy of it is interesting to watch. Mark the chicken has to be the best reality show chicken since season one of Big Brother. Mark the chicken is not the best animal in this episode, however. The best animal in this episode is the monkey who attacked Jason. Followed up closely by BABY MONKEY. Because BABY MONKEY. Jeff’s entire mind was blown when Cydney’s “slow and steady” strategy won her immunity, like that is not a strategy tiny, tiny children have been learning for years via one of the most famous stories in the world. Come on, Probst. “There’s no better way to show my loyalty than to vote out my biggest ally in this game.” Isn’t there, though?